Last week, rif and I went for supper with Brian at K.T.Z, SS2. 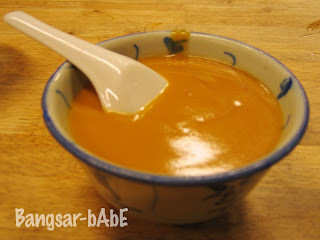 I had the peanut butter tong sui while rif had the water chestnut tong sui. 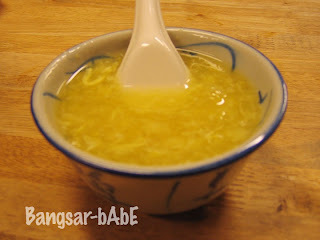 I thought the water chestnut tong sui was too sweet. It felt as though I was drinking sugar water with water chestnut chunks. The peanut butter tong sui fared better. It was not as sweet as the former and has a smooth, thick consistency. Greedy me ordered the crab roll despite rif telling me not to. It was a complete disaster. 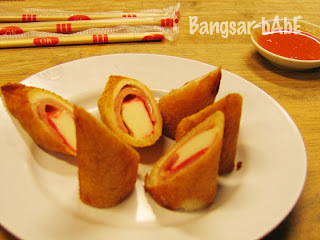 A thin slice of ham and crabstick wrapped in bread. I couldn’t find the cheese that they claimed was inside. Without the chili dipping, it was bland. I literally had to drown each piece in the chili dip. Not worth the price tag. 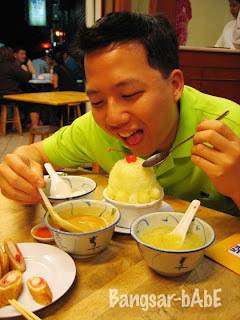 Brian had the honeydew loh and the black sesame tong yuen. I can’t say much as I did not try them. 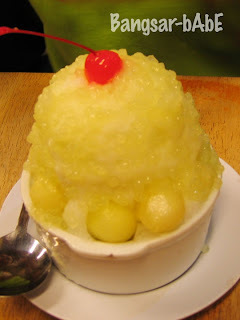 The honeydew loh should be alright as I had it a couple of times before and quite liked it. 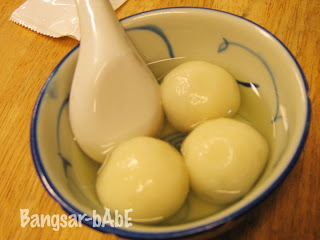 The tong yuen was small and pathetic looking. ‘Nuff said. Not sure what Brian thought of his food but he didn’t complain. Verdict: Overpriced food that’s below par. Desserts are OK with a few hits and misses so choose wisely. too sweet also drink so much of my water chestnut huh?? i thought it was nice!!! I think it’s too sweet la…mine was much nicer!